I have had the good fortune to deliver dozens of lectures around Ireland discussing local connections to the American Civil War. Wherever I am, I always highlight two factors; the reality that for many Irish counties, the American Civil War saw more locals in military uniform than any other conflict in their history, and the fact that these connections are not as distant as we might think. 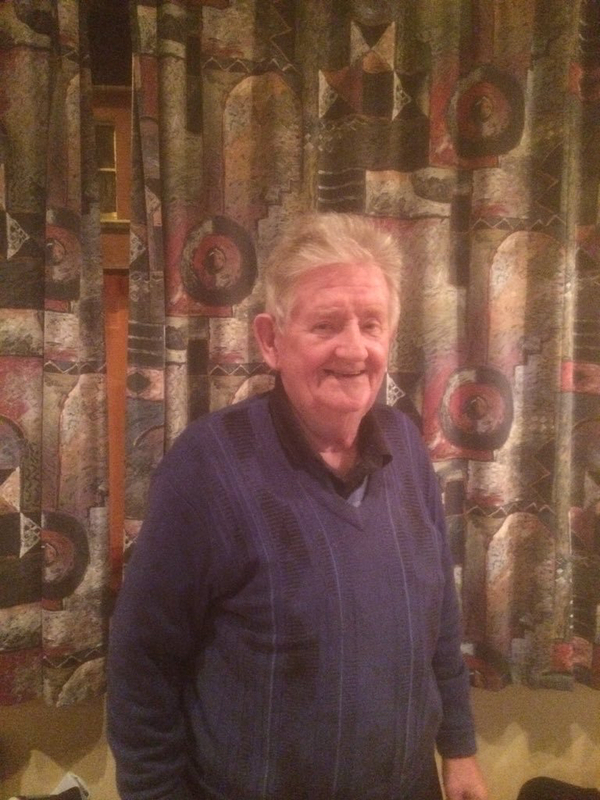 Nothing has brought that home to me more than three men I have met in recent years– Seamus Condon in Dublin, and Davy Power and Jack Lynch in Cork. All have something in common, as each has a forebear who fought in the American Civil War. However, unlike many with a connection to the conflict, their association is not third, fourth or fifth generation. In each case, the individual who served between 1861 and 1865 was their grandfather. There is surely no greater demonstration of just how close to us in history this major event in the story of the Irish diaspora is. I met Seamus Condon in his home in Dublin. Seamus is himself a former soldier, having served as an officer in the Irish Army, experiencing United Nations service in the Congo. 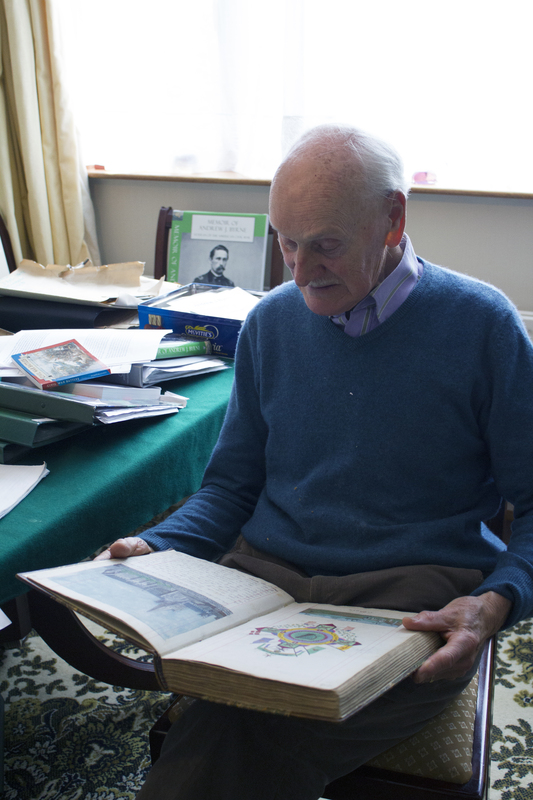 Seamus is the caretaker of a remarkable collection of material relating to his grandfather, Andrew J. Byrne. Andrew first arrived in New Orleans in 1849. It wasn’t long before he enlisted in the United States Army. Unlike many of his fellow emigrants he decided to return home, and after four years he decided to desert and travel back to Ireland. However by 1856 he was back in New York, having re-enlisted and confessed to his previous desertion. Returned to his unit, his pre-war adventures took in locations such as New Mexico, Texas and Arizona. On the expiration of his term of service in 1860 Andrew once again went home to Ireland, but hastened back to the Union’s defence on the outbreak of the Civil War. He enlisted in the 65th New York Infantry, otherwise known as the 1st U.S. Chausseurs. First Sergeant Byrne fought through the Peninsula Campaign and was seriously wounded at Malvern Hill, where he was captured by the Confederates and confined in Richmond’s Libby Prison. Eventually exchanged, Andrew returned to his unit in late 1863 and served during the Overland Campaign and in Sheridan’s Shenandoah Valley Campaign, where the Dubliner was wounded for a second time at Cedar Creek. He ended the war as a First Lieutenant. A member of the Fenian movement, Andrew was one of those who returned to Ireland after the war and was arrested on suspicion of plotting a rebellion (you can see his Fenian mugshot here). He was sent back to America, where he once again enlisted in the regular army. Andrew eventually returned to Ireland permanently in 1875, living out his life in his home city and being buried in Glasnevin Cemetery. 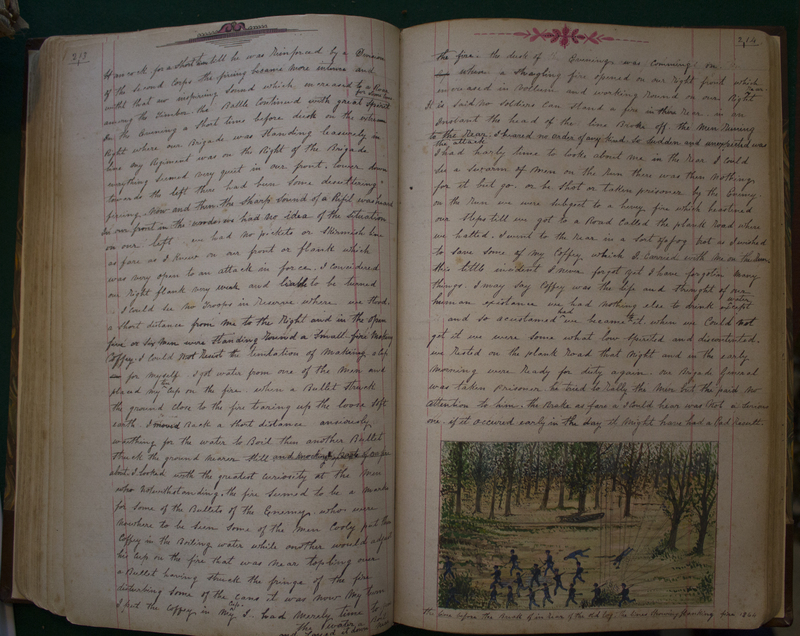 A keen writer and artist, Andrew wrote and illustrated his American experiences for his family, and Seamus continues to care for this remarkable manuscript and other possessions relating to his grandfather’s service. The manuscript was published on a limited basis through Original Writing in 2008 (you can read a review of it here). Seamus is eager to have this remarkable story made available to a wider audience both in Ireland and the United States, and would be keen to hear from anyone who might be interested in publishing this work in America. I enlisted in the United States Naval Service on 18th January 1861 in Boston and was ordered on board the “Katadin” as Coal Heaver. Subsequently I was employed as Fireman. I believe the ship was commanded by Captain Johnson. 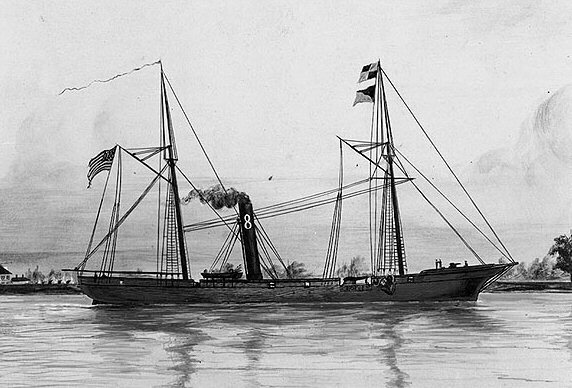 The “Katadin” was ordered to Key West and thence to the Mississippi. I was engaged in the attacks and captures of Forts Jackson, Philip and Hudson and after the hardships endured I was sent to Hospital under the care of I believe Dr. Bragg in New Orleans. I resumed duty after a short time on board the “Katadin” and we were ordered to the coast of Texas off Galveston to keep a strict blockade on the coast. I was employed there for more than a year. Subsequently I was discharged and later on received some prize money. Joined the “Dacotah” in New York 3rd April 1865 as fireman and was ordered to the South Pacific and after about three years got an honourable discharge from the ship. My constitution was so much impaired in the service that I came to Ireland. James’s service aboard the USS Katahdin was the most notable of his wartime career. He participated in the Battle of Forts Jackson & St. Philip which opened the way for the capture of New Orleans. The prize money he received was due to his ship’s part in the capture of Confederate blockade runners Hanover, Excelsior and Albert Edward. After his return home, James established a shop in Castletownbere, and married Johanna Murphy there in 1872. Johanna lived until well into the 20th century. I have met Jack Lynch on a number of occasions in the pub which his grandfather established, The Cotton Ball, in Mayfield, Cork. 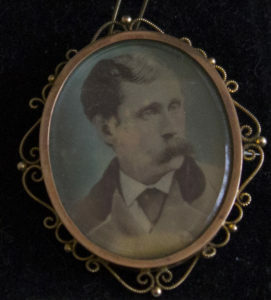 Jack’s grandfather Humphrey enlisted in Boston on 19th March 1862 when he was described as a 5 foot 8 inch 21-year-old with blue eyes, light hair and a ruddy complexion. He was by occupation a gardener. Humphrey and Battery H served in the war’s Western Theater, and was heavily engaged at battles such Stones River and Chickamauga. 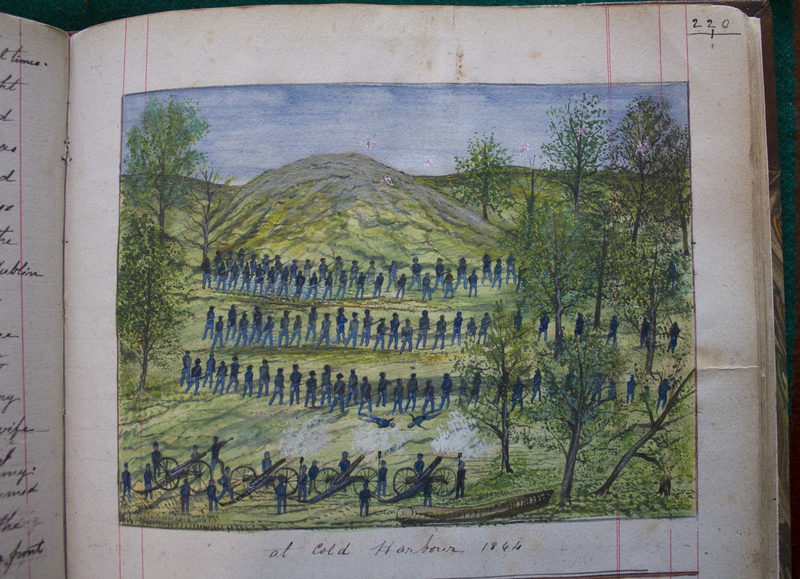 Many of the men were transferred to Battery I in October 1864 while based at Nashville, and went to fight at locations such as Charlotte’s Pike and Pulaski before participating in Wilson’s Raid through Alabama in 1865. Humphrey was discharged when his term of enlistment ended on 19th March 1865, at Chickasaw Landing, Alabama. After the war, he returned to Massachusetts, where he embarked on a highly successful career dealing in cotton. 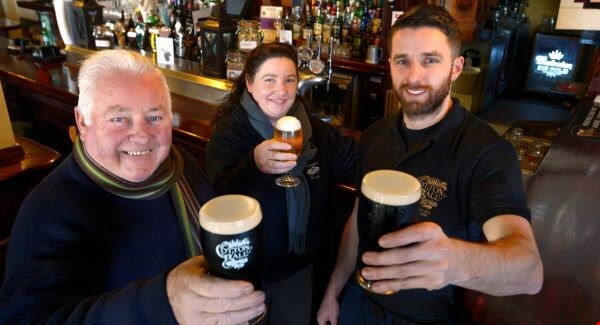 Humphrey’s success in America allowed him to return home to Ireland, where he was able to become a landowner and ultimately establish the pub, now named for the fibre which helped to create his wealth. 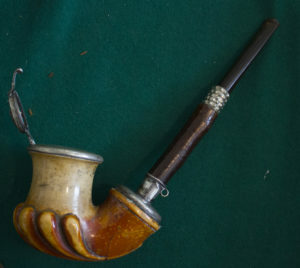 It still contains many mementos of Humphrey’s time in America. The successful emigrant also named his new Cork property Byfield in honour of the Massachusetts location that had given him so much. This part of Mayfield retains the name Byfield today- a rare occasion where an American placename has inspired the creation of an Irish placename, rather than vice-versa.I n recent years The Cotton Ball has established a brewing company, producing a number of (in my opinion!) very fine craft beers. Each bottle pays tribute to the man who made it all possible, bearing an image of American Civil War veteran Humphrey on the label. You can read more about it here. 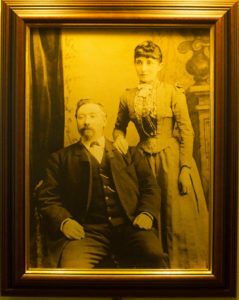 Mr. and Mrs. Humphrey J. Lynch of Cork Visiting Here. Mr. and Mrs. Humphrey J. Lynch of Byfield House, Mayfield, Cork, Ireland, are guests of Mr. Lynch’s cousin, Cornelius Hallissy of 486 Warren avenue. They will remain in this city about 10 days, then leaving for the Louisiana Purchase exposition. They came here from Newburyport, where they were entertained by Mr. Lynch’s brother, Denis Lynch of Warren street. Mr. Lynch has scores of acquanitances and relatives in Brockton and in all the towns in this vicinity. He and his wife have been warmly greeted and hospitably entertained. He was there for two years, and then worked a year in the ship yard of Chas. Currier of Newburyport. He was there when the civil war broke out. he was one of the first to enlist and the last to be discharged. He went in as a private of the 4th U.S. artillery, and came out a sergeant. Of the 208 men who enlisted when he did there were only three of the original ones left when the battery was mustered out. He served through 27 general engagements, principally in the army of the southwest along the Mississippi valley. He was in many smaller fights and skirmishes. After the war he worked 14 years as a foreman of the picker room in a Newburyport cotton mill, and then his wife’s health failed and it seemed best to return to Ireland to live. He took with him his modest savings, entered the real estate business, and amassed a considerable fortune. He has now retired. He came to this country to meet his old comrades at the Grand Army national encampment in Boston. He is a member of Lawrence post, 66, of Medford. He met companions of this post and members of his old battery, but none of those who enlisted with him at the outbreak of the war. After his visit with Brockton relatives and after seeing the world’s fair, he will visit a number of his old battlefields. He speaks in highest terms of the Brockton Grand Army veterans. He has been cordially welcomed at their hall, and shown courteous treatment by all of them whom he has met. Seamus Condon, Davy Power and Jack Lynch all have extremely close connections to the American Civil War, and each rightly remembers this association with great pride. They are living proof that at least some emigrants did come home to live out their lives in Ireland. Given how few did make the return journey, it is remarkable that at least three grandchildren of such veterans can still be found today. 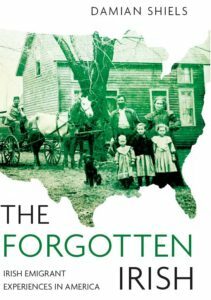 It seems likely that in the United States hundreds– if not thousands– of grandchildren of Irish American Civil War veterans remain. Each is a reminder to us in the 21st century of how close the 1860s can be. If you know of any other Civil War grandchildren in Ireland, or indeed the United States, I would be very interested in hearing from you. 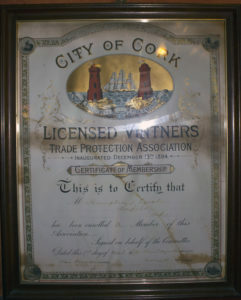 James Power Navy Widow’s Certificate 11147. Brockton Times 8th September 1904. Of course, so it was Jim! I would love to get a handle on how many grandchildren there still are in the States. A great way of demonstrating the closeness of it all. We have corresponded on occasion previously. My hunch is that there are not too many grandchildren of Ireland-born Civil War veterans. I am the great grandchild of Patrick Breen, a U.S. Army regular and native of County Kerry. He enlisted in in the U.S. Army (2d Infantry Regiment) in 1855 and served througout the Civil War (Company C of that Regiment) and thereafter. I would enjoy conncecting to the Irish guys whose grandfathers (and those whose great grandfathers) also served. Maybe we should organize such a group? I hope all is well. I agree I don’t think there are too many- it would be a brilliant idea to organize a group, maybe something we could look to organise through the site? Another great one Damian. Just wondering if you have a grave reference for Andrew Byrne at Glasnevin. I got a kick out of the story that Jack Lynch returned to America in 1904 and included the St Louis World’s Fair in his itinerary. My wife & daughters love the movie Meet Me in St Louis, which is about that fair. I wish I could edit my comments. Anyway, Humphrey Lynch, not Jack Lynch. 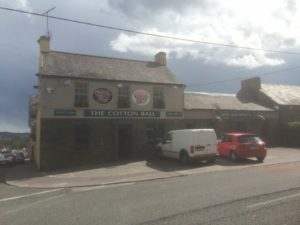 I don’t but I might be seeking it out later this year depending on events- you will have to have a pint in the Cottonball the next time you are about Cork!